When I was seven years old, I went Christmas Caroling with my Brownie Girl Scout Troop. And as is customary when cute little girls sing Christmas songs at your door, most members of our audience raided their pantries for baked goods to offer us when we were done. Baked goods, especially at Christmas time, are particularly dangerous to me. It’s the time of year when everybody seems to break out the nuts. A lot of food allergy parents these days would probably tell their allergic children not to accept any sweets while out caroling, and that they’d make it up with a favorite treat when the child gets home. This was a different era, though. EpiPens were not promoted as a first response, but only to be used if the situation escalated. 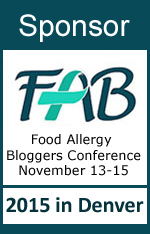 Fewer food allergy deaths reached our ears because there was no internet (not to mention there were fewer people with allergies to die), and we’d only just begun to recognize the dangers of cross-contamination. Then, one of the cookies I ate had nuts after all, and as we walked away from that house and to the next, I began to have a reaction. However, I made no complaints. I distinctly remember taking handfuls of snow from the yards we passed and packing it into my mouth, hoping to make the sensation go away, but I didn’t report the reaction to anybody until I got home and told my mom. One of the scout leaders even tasted nuts in the cookie, and she kept an eye on me, but she must have taken my lack of complaining to mean that I wasn’t having a reaction. It never occurred to her to ask me directly. As a result, I suffered for probably at least an hour before my parents gave me Benadryl at home. There’s no doubt that I was extremely lucky–lucky that my reaction hadn’t been worse, and that I lived to tell the tale. But what’s scarier than this incident is the fact that this wasn’t the only time I hid an allergic reaction. And in any one of those cases, if I had collapsed without telling anyone what had happened, emergency responders wouldn’t have known what to do with me. Lucky, indeed. What’s even scarier to me, now that I’m an allergy parent, is that I’ve started noticing this pattern in Zax. I don’t want my kids hiding allergic reactions, and I’m sure you don’t want your kids hiding allergic reactions either. So I’ve deconstructed my memories of these experiences to try to figure out what was going through my head (and my gut) when they happened, in the hopes that we can all use this information to better prepare our children. To this day, when I feel myself starting to have an allergic reaction, my first thought is usually “Not again. Not now. I don’t want to deal with this now.” It’s not fear. If there’s fear, it’s a little later, if things get worse. But my first reaction is usually frustration and the feeling that it’s inconvenient to disrupt whatever I’m doing. Of course, there’s never a good time to have an allergic reaction. I know that, and you can try to tell that to my emotions, but I don’t think they’ll listen. Closely tied to disappointment, this also involves not wanting to make other people feel bad. My worst adult reaction occurred at a friend’s housewarming party, and while I immediately medicated myself and told my husband what was going on, I didn’t report it to the hostess. Basically I didn’t want to rain on her parade. My mother (who still asks about my allergies and reminds me of stuff even though I’m an adult) pointed out that it would have really rained on her parade if I’d died in her condo. Point taken, Mom. This is particularly a risk factor for special gatherings and holidays. Sometimes, as was the case with the above-mentioned housewarming party incident, the reaction can only be blamed on myself. I wasn’t lied to, I wasn’t the victim of cross-contact in someone else’s kitchen, I simply failed to ask about the contents of the food I chose to eat. I got lax, and assumed that nuts would never appear in a certain food, and I paid for it. There’s a certain morbid embarrassment in admitting that I screwed up and didn’t protect myself. There can even be embarrassment in admitting that something is happening in my body that I can’t control. This can be a big issue for children and teens. Even when a reaction wasn’t directly their fault, many youngsters are embarrassed about their food allergies in general. It makes them different. Having a reaction in front of anyone other than family is only going to make that embarrassment and isolation worse. Whether it’s embarrassing or not, nobody likes to lose control. And in this case, the enemy is our own body and the seemingly-innocuous food we eat. I think many of us shut down instinctively when we feel out of control (and it doesn’t have to be about food.) But shutting down stops us from thinking, and remembering what it is that we’re supposed to do. My mom took care of me, and later talked to the teacher. It turned out that he and his wife had used the same bag to hold cookies that did contain nuts at a previous time. Cross contact rears its ugly head again. That music teacher was a very nice man, and never would have poisoned me on purpose. But no matter how nice he was, it didn’t compete with my perceived erosion of trust. Once when babysitting as a teenager, the mom (who knew about my allergies) told me I could help myself to some safe cookies. But by the time I got her three kids into bed hours later, I’d forgotten where she’d said the safe cookies were. I searched the kitchen and found some cookies, but felt unsure of them. I did a “taste test” that I used to perform, where I placed a small crumb on my tongue to feel whether or not it had any nuts in it. This test usually worked, giving me only the smallest reaction in my mouth telling me not to eat any more. Foods that didn’t give me a reaction never gave me trouble in larger doses. At any rate, in this instance the test gave me a reaction that was larger than I was expecting. I remember laying on their couch, not paying attention to the TV, and thinking that I had just done something incredibly dumb. I was responsible for three little lives, and instead I was endangering my own. I’m sure I dove on the Benadryl the moment I got home (unless I had some with me–I honestly can’t remember) but I didn’t tell their parents, nor did I tell my parents. I couldn’t admit to being that irresponsible, and probably figured I’d be in trouble or never be asked to babysit again. There’s no doubt that I was lucky several times through my youth. Not everybody is. So now that I’ve examined the emotions behind a hidden reaction, what can we do about them? Last year, Zax’s class talked about the Lizard Brain and the Wizard Brain as an analogy for the way our cognitive functioning works. The Lizard Brain controls our body’s unconscious functions as well as the Fight or Flight reflex, and the Wizard Brain is the center for higher reasoning. They were learning to regulate their emotions and teach their inner Wizard to prevail over their inner Lizard. Why do I bring this up? Because your child probably already knows, at least on the cognitive level, what she is supposed to do during an allergic reaction. Her wizard is prepped. But is her lizard? Don’t waste any time begging and pleading with your child to do the right thing. You’re appealing to the part of her brain that won’t be functioning (at least, not very well) in the throes of a reaction. When having an allergic reaction, the body is under attack, and just like during any other attack, cognitive functioning takes a backseat to the Lizard, who controls Fight or Flight. Don’t despair, though, because the Lizard can be trained. The trick is to practice until the correct response becomes reflex. Soldiers train until they can reflexively perform the desired counterattack. Athletes train until their muscle memory will respond to the actions of their opponents. This sort of reflexive response is the ultimate goal for someone having an allergic reaction. Get that EpiPen tester out and use it. Over and over again. And then when everyone’s tired, take a break, and then practice again. Come up with a schedule (we pull them out every time we change the page on the calendar) and stick to it. 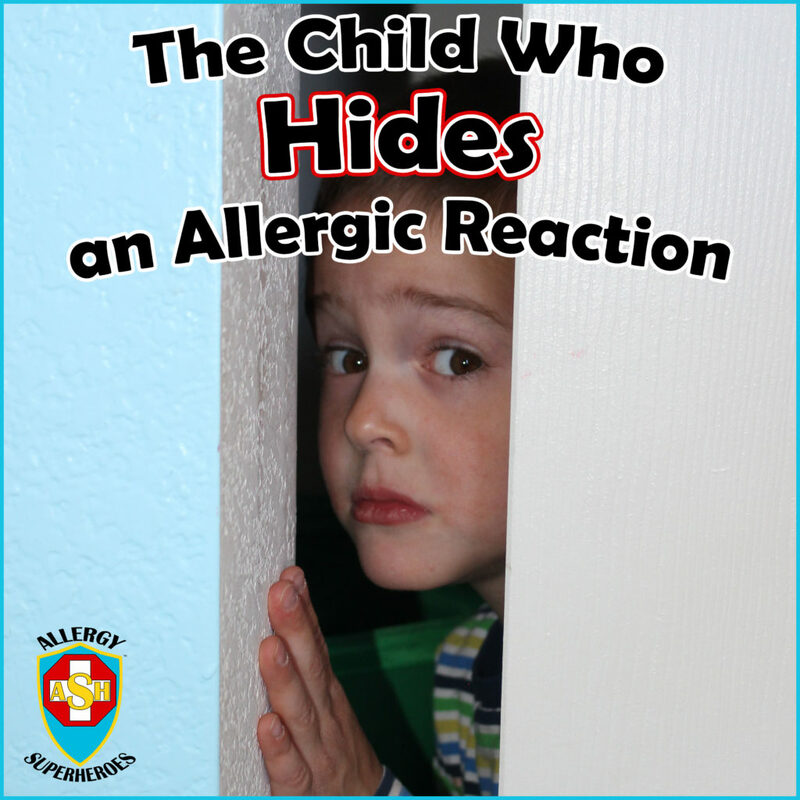 Do some role playing and have your child go through the motions of pretending to have a reaction and using the Epi. The goal here is that they will immediately go for the medicine when experiencing a reaction, which, if nothing else, will make caregivers take notice. Pick a time when your child is a calm but captive audience (in the car or on the way to school, for example) and talk about your safety routines. Review them on a regular basis. Your kids will get tired of it and you don’t have to do it every day, but bring it up on frequent but irregular basis. If you have an allergic reaction, even if it was your fault, will you get in trouble? If your teacher tells you a food is okay to eat, but it gives you a reaction, did she do that on purpose? Should you keep playing/working and wait to see if the reaction goes away? If your friends got hurt, would you help them? How do you think your friends would feel if you had a bad reaction but hid it from everybody, so they couldn’t help you? Let these discussions be organic, and answer any questions your child has. It’s very important to repeat that they won’t be in trouble and that no one will poison them on purpose. Regularly talk about this until you feel that they believe it, deep down. And then remind them again for good measure. Teachers, counselors, coaches, and other caregivers may assume that a child will complain if anything is wrong, so disabuse them of that notion right off. Tell them that if they suspect your child is having a reaction or ate something they shouldn’t have, or if the child starts acting strange, that they need to check in with your child. Put this in your Action Plan. Tell the caregiver to take the child aside so they don’t have to admit anything in front of a group. Then ask them directly if they’re having an allergic reaction–not how they’re doing or if they feel okay, but if they’re having a reaction. While they might not have wanted to volunteer it, most kids will be relieved that someone has figured it out and will admit to what’s happening. Then, procede as they would with any reaction. If you suspect that your child hides because they hate losing control, tell them that they can take back control by using the Epi. It will make their body behave the way it’s supposed to again. Then, remind them of all the things they can control to prevent reactions from happening. Empower them to be their own best advocate! 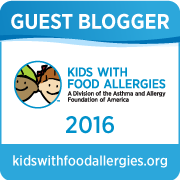 This is truly one of the most powerful and important food allergy blog posts I’ve read in a very long time. What a gift to have your adult – and still reactive – window into your childhood reaction experiences. I first developed severe food reactions as an adult, just a few years ago (and ironically, after beginning the community on freedible that has taught me how to take care of them!). For me, they are driven not by food allergies but by far more idiosyncratic mast cell activation disorder, with triggers that can shift on me just to keep me on my toes. I so recognize in my own reactions your extremely detailed exegesis of reasons to keep it to myself (and not just when my children are watching), from annoyance to self-blame to not wanting to draw attention to myself as I swoon like some 18th century bride in a corsette with my blood pressure plumetting! None of us wants to be weak, or out of control, or in any way ‘lesser’ than the superhero we play for our colleagues, families and friends. That’s why I couldn’t be more supportive of your choice to reframe this, our ability to fight back and take care of ourselves despite and through it all, as our *true* super powers! Thank you for sharing this – I for one needed to read it! Thank you so much for your kind words, Cheryl! It was wonderful to hear how this touched you, and I hope it helps many! Thank you so very much for writing this – I am sharing (linking to it) it far & wide! It is such a gift to both parents of kids with food allergies and to the kids themselves. Thank you Stephanie! I’d nearly forgotten about all this until the first time my son hid a reaction from his preschool teachers. I hope this can help parents teach their kids to be safer! 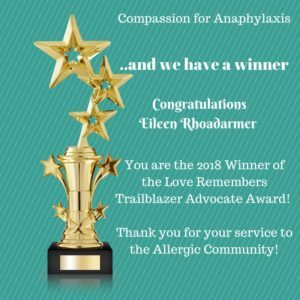 My child is only 3 now but we’re always trying to teach her in an age appropriate manner about her allergy (I make mention of it in some way everyday) and this article is something I plan on saving and using as we work on educating her. I especially love that it’s about allergies but also about human behavior. It’s almost as if you’ve taken “normal” behavior and applied it to allergic living-something I don’t always see, especially when people lack sympathy. I don’t have a food allergy but you’ve shown me that I can call upon other parts of my life to relate to my daughter and that is invaluable. Thank you. I had never really considered that any of my children would hide a reaction from me. I can definitely see how it could happen. Thank you for opening my eyes to this so I can talk to my 4 allergy superheroes about being open and honest if it ever occurs. You’re welcome Kristin. Hopefully your kids won’t ever do this! I just dealt with this yesterday at a state testing site for my third grader. He started sneezing and did not want to stop the test for fear he would have to come back and retake the whole thing. If I hadn’t been close enough to hear him, I’m afraid how long the staff will allow him to react before they take action themselves. 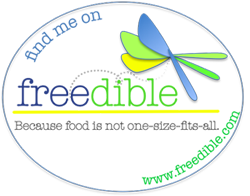 This blog was very helpful to me for further discussions with him. I’m sorry he was doing that Jennifer, but glad to have helped with the conversation! It’s definitely hard with people who don’t know what to look for and won’t notice that anything is wrong unless it gets really bad. Glad your little one is okay!